Have you heard of Lance Armstrong? Of course, you have. 1995: Finishes 36th in the Tour de France. 1996: Diagnosed with testicular cancer. 1999: Wins the Tour de France. 2000: Wins the Tour de France. Two months later wins the bronze medal at the Sydney Olympic Games. 2001: Wins the Tour de France. 2002: Wins the Tour de France. 2003: Wins the Tour de France. 2004: Wins the Tour de France. 2005: Wins the Tour de France for the seventh time. US Anti-Doping Agency accuses him of leading “the most sophisticated, professionalized and successful doping programme that sport has ever seen”. The thing is that drugs like EPO and other steroids that Armstrong admitted to taking can only provide a boost in performance for an athlete who is already at the top of their game. There’s no way that an amateur cyclist like me, for example, could just take a bunch of steroids and expect to win the Tour de France. What Can Lance Armstrong Teach Us About Marketing? Say what you will about him, but Lance Armstrong proved to be a gifted athlete from a very young age, had an extremely high tolerance for suffering, and an extremely high work ethic and dedication. The drugs he took no doubt contributed to his ultimate success, but they only served to boost the performance of an athlete who had already managed to make it to the world’s biggest annual sporting event. A grueling race where nearly 200 competitors race over 2,000 miles in just 23 days. Now a dirty little secret about professional cycling is that all of the top athletes are rumored to be doping. It’s, of course, no excuse to say that “everyone was doing it”, but you no doubt come under a certain level of scrutiny when you win an event like the Tour de France 7 years in a row. But the digital marketing landscape can sometimes feel the same way, can’t it? It’s crowded, noisy, and competitive. We’re always looking for that competitive edge, something that can help our message stand out. Many of us have found an answer. Video marketing is both legal and ethical. In fact, video isn’t just helpful for us but it’s something that our audience and customers actually enjoy. But like with doping, it can only give a boost to a tactic and a channel that’s already working. I’m never going to win the Tour de France no matter what I try, nor is video a magical solution that’s going to help us as marketers to cheat our way to world-class results. So let’s take a look at some of the ways that video can give your marketing a boost. Are you already sending out emails to customers? Give them a boost by including video! Emails with video can receive an increased click-through rate of 96%, and simply including the word ‘Video’ in an email’s subject line can boost open rates by 19% while reducing unsubscribe instances by 26%. 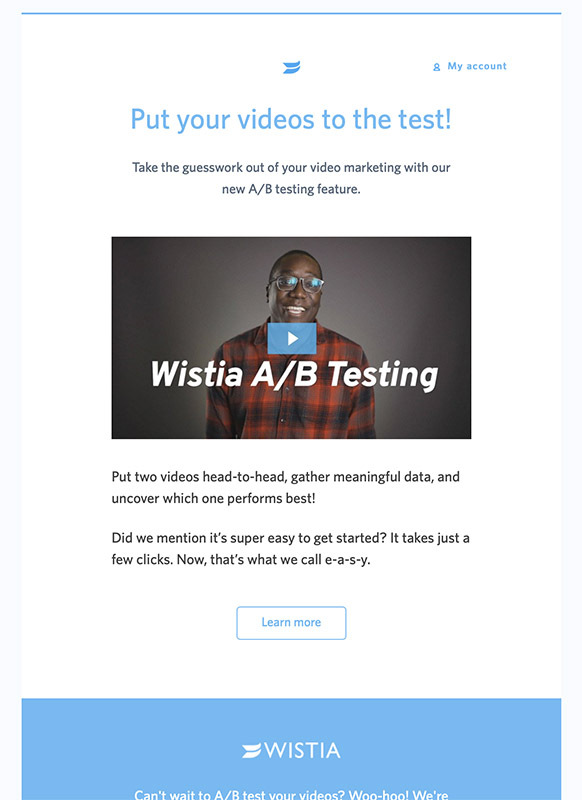 This is something that’s really easy to experiment with and test by running an ‘A/B split’ campaign, where you would compare the results of an email with the video sent to a portion of your subscribers to that of an email without the video. This is a feature that’s readily available in most email marketing platforms like MailChimp and Hubspot. 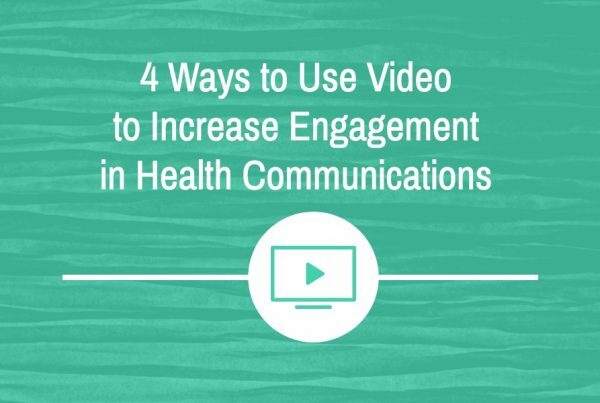 The key here is to make sure that the video is prominently displayed in the email using an image placed ‘above the fold‘, ideally as the primary call-to-action in the email, and never simply as a text-link. You’re likely already sending traffic to a dedicated landing page (or perhaps just the homepage of your website). Using video here is a great way to improve the ROI of any paid campaigns by helping to convert more of that hard-earned traffic. 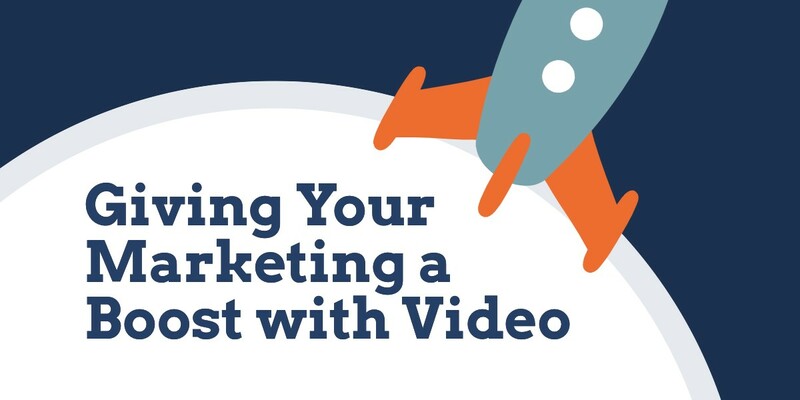 Using video on landing pages can increase conversion rates by 80%, and having a video on a landing page makes it 53% more likely to show up on page 1 of the search engine results. Start by looking at your website analytics to see which pages are getting the most traffic. There’s no point in making a video for a page that’s getting little traffic, as it likely won’t get enough views to justify its cost. 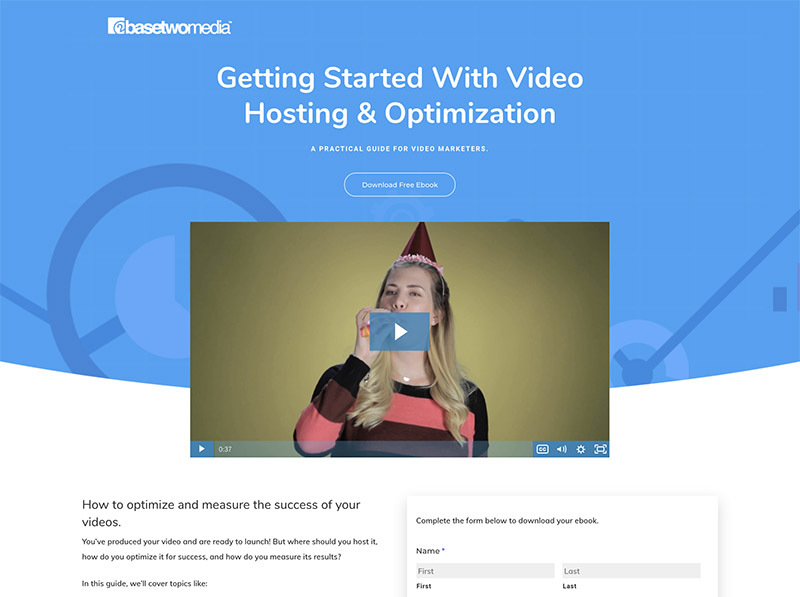 Landing page videos should be created with the context in mind, echoing the benefits of the offer and calling for the visitor to take the same action as the rest of the page (eg. filling out a form). Like with email, you could try running an ‘A/B split’ campaign in order to measure any difference in conversion rates between a version of the page with and without the video. Video used on one of our own landing pages. YouTube is like blogging on steroids when done correctly. But forget uploading commercials or corporate videos – like a blog, content here should be helpful and optimized for search. This requires an entirely separate channel strategy, one where you’ll likely be calling for subscribers in order to build an audience over time. Remember that YouTube is interested in keeping viewers on the site so that they will watch more videos, not in converting to your own website, so try to create content that engages viewers and seeks to build a relationship. Then again, why give YouTube all of that ‘link juice’ when you could be giving your own blog a boost in search results? Consider instead adding video directly to blog posts on your website to help them get found in search. By making these posts more valuable and content-rich, visitors are likely to spend more time on the page and to share the link on social media – both of which are indicators that Google looks for when deciding how to rank a given page in search results. In fact, blog posts incorporating video attract 3x as many inbound links as blog posts without video, and video drives a 157% increase in organic traffic from search engines. 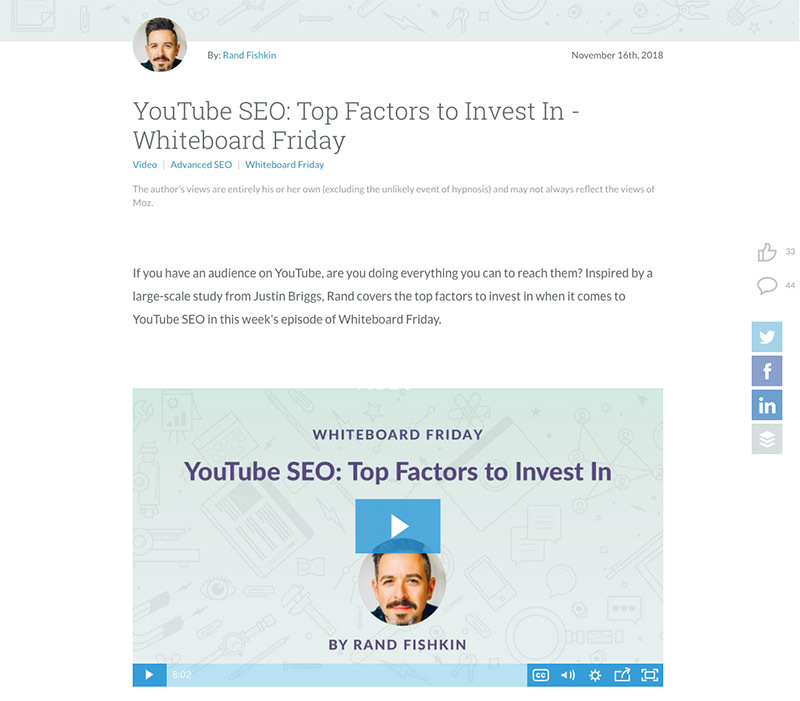 The hugely popular ‘Whiteboard Friday’ series on Moz.com’s blog. When adding content to a blog post, don’t try to replace or summarize an entire blog post. Try instead to supplement it with additional content that might serve to further explain or even just entertain. There are times when it makes sense to target search traffic on YouTube, with it being the second largest search engine in the world. I know that I would be more likely to head directly to YouTube to search for a tutorial on something like ‘how to change the oil in a car‘, knowing that I was hoping for a video result and not a blog post. But only once you’ve proven that you can create written content consistently for your blog should you consider developing a YouTube channel strategy. It’s hard enough to create content on a regular basis for a blog without adding in the production challenges of creating regular video content. Facebook, Instagram, Linkedin, Twitter now all support videos in both organic and paid posts, allowing businesses to engage their audiences in new ways. Most platforms use ‘autoplay’ video, meaning videos will automatically begin playing when a viewer scrolls down their feed, and these ‘native’ videos can have 10 times higher reach on Facebook compared to YouTube links. With recent changes to Facebook’s algorithms seemingly being designed to keep viewers on the platform for longer, displaying more videos and content users can view directly from within their news feeds (as opposed to links that direct people away from Facebook, like to a post on your company blog) should provide a boost in engagement. Video can also help you to tell better stories that leave a lasting brand impression. Paid ads are a perfect way to experiment in order to test video content against other types of posts. But don’t expect results from video alone – you’ll need to have already built an audience or have a proven strategy in place for targeting viewers through paid campaigns. Case studies, like testimonials, are a great way to boost credibility and to provide the ‘social proof’ that may be required to close a sale. But in going beyond a simple testimonial, video case studies allow you to do even more. Watch one of our own case study videos below. 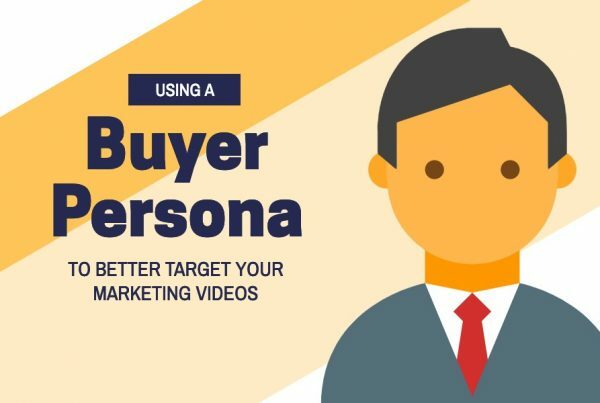 For me, one of the newest and most exciting ways to use videos in sales is with personalized videos in email. These are videos which are made for an ‘audience of one’, and can be recorded using your computer’s webcam or on a mobile device. They should be simple and distraction free. Being clear and friendly is what’s important, not the quality of production. There is a growing list of free tools available to help quickly and easily record, send, and track the results of personalized emails. Like any video marketing tactic, it may require a bit of experimentation to figure out what works best for you. Speak with your sales teams about which points in the sales process they could use the most help with. This is where you’ll see the most immediate gains from using video, as even a small improvement this far along in the customer journey can provide a provide a huge boost to your bottom line. If your business attends trade shows, then you know how difficult it can be to stand out. Trade show floors are a noisy, crowded place, with businesses competing for the attention of passers-by. Video is a great way to do just that. There is, however, an added challenge when playing a video at a trade show: All of that noise can drown out any music, dialogue, or narration in your video. Even if you could hear your video over the background noise of the trade show floor, your team is going to go crazy hearing it on on repeat all day. An option may be to provide headphones for viewers to wear, but this won’t help attract visitors to your booth in the same way that a video would that doesn’t rely on sound or music to be compelling (and it’s a cumbersome solution). Trade show videos need to be produced with this context in mind, avoiding the use of sound, music, or voice-over narration. You should also avoid talking heads if possible since subtitles can be difficult to read in this environment. Animation works particularly well in most cases. It’s highly unlikely that a person will just happen to start watching your video at or near the beginning, so avoid any long animated logos and design it instead as a short loop to increase the chance that viewers watch from beginning to end, and possibly more than once. Remember, the goal of playing a video at your booth is only to help pique someone’s interest in order to attract them to approach or stop at your booth. 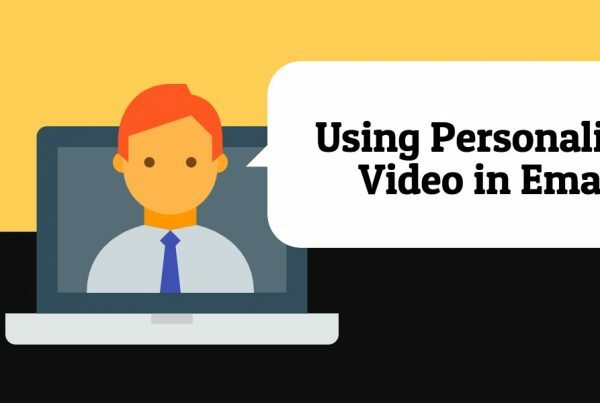 Once there, you may like to use the video as a tool for your sales reps to speak to in order to answer any questions you might have, but the video shouldn’t be relied upon to tell much of a story on its own in this environment. Need help giving your marketing a boost? Contact us for a consultation today.